Nancy Kay Entrikin, 84, Topeka, passed away Wednesday, October 24, 2018. Nancy was born December 31, 1933 in Wichita, the daughter of Frank and Alice (Truitt) Wall. She graduated from Langdon High School in Langdon, KS. Nancy's career of choice was to be a stay at home mom but reality required that she work. As such, her day jobs included Lee Optical; KP&L; Landon Middle School and the Menninger Foundation where she started with the housekeeping department and later as en event planner for the doctors and staff's continuing education. She even had a stint as a barista starting her love relationship with Starbucks. She was a friend of Bill for more than 31 years. Nancy married Donald “Max” Entrikin in 2003. He died January 3, 2017. Survivors include her daughter, Marsha (Jim) Power, Overbrook; daughter-in-law, Joan Bixler, Topeka; granddaughters, Maggie Louise (Mike Hall) Bixler, Bailey Kay (Matt) Beilhartz; great-grandchildren, June Louise and Vada May Hall; step-daughters, Kie (Ron) Zelms, Illinois and Lynn Entrikin, Arkansas. She was also preceded in death by a son, David Bixler. 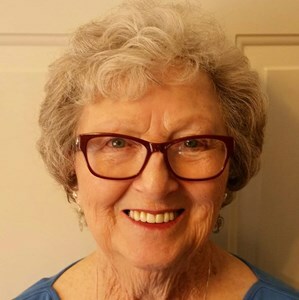 Nancy loved gardening, sewing, quilting and her family and pets. More than anything she was the communicator. She knew when and what needed to be said and she did so, so very well and with a lot of love. Healing starts with words and the thoughts behind them. She touched many lives beyond just her immediate family...more than any of us will ever know. A Celebration of Nancy’s life will be held at 11 am on Saturday, November 17, 2018 at Mount Hope Funeral Chapel. The family will receive friends one hour prior to the service at the chapel. Private family inurnment will be at a later date. Memorial contributions may be made to C.A.T. Association or Helping Hands Humane Society. Add your memories to the guest book of Nancy Entrikin. I was Nancy's dog sitter for Otis and I only learned of her passing while celebrating Christmas at my sister in laws. You have my deepest sympathy, Nancy was such a sweet person and I hope Otis is with a loving family. I remember Nancy when she was with Housekeeping at Menninger on the old East Campus back in the early 1980's. She understood that often housekeepers of patient rooms would learn more about impending risk than other staff. She helped to get housekeepers accepted as members of the treatment team. This was a major contribution and I had a lot of respect for her. Your mom would bring us Easter cross buns and May baskets- how fun and always so good. So glad she did not have to suffer any longer. Nancy was my friend and my mentor. I cannot imagine life without her beautiful laugh, smiling face, and loving hugs. I know that God will hold her in his arms until we meet again. I, too, am a Friend of Bill's and will miss our friend, Nancy K. Shared a lot of laughs with Nancy K. and a few rounds of golf in the Swatters events. I didn't know she was going or I would have asked her to say "Hi" to some dear friends she will surely see again. God Bless Nancy, her family and many friends. Nancy was a gem and a treasure. For the last fifteen years, she has been my "other mother" and before that, she was my dear friend. Nancy was generous with her love and support, and she taught me so much. She taught me I deserved more than I dared to ever expect for my life. She taught me to be brave. She shared her love for my father by encouraging him to rebuild strong relationships with his own children as well as her extended family and beloved grandchildren. She brought much happiness to my father for many years, and for that I will always be infinitely grateful. She created a strong circle of love and support in her own unique way. She had a wonderful sense of humor and a very kind and loving heart. Her loss is huge for everyone whose lives she touched over her long life. My life is so much richer for having known and loved her. She will be deeply missed by the Entrikin girls - Max's daughters, Kie and me, and our late brother, Michael Brent Entrikin, who Nancy also loved dearly, but who died shortly before Dad and Nancy were married in 2003. Love to all who shared my love for Nancy, including Marsha and Jim, Joan, Maggy, Bailey, June, and Vada. I am so sad to have lost a dear friend and confidant. Nancy was dear to me. To her family I send my condolences. The world was a better place because of her. She made a deep and significant impact in the lives of so many. Rest well my dear little friend! I’m so sorry to hear about Grammy’s passing. My thoughts and prayers go out to the many who loved her so much. She had a wonderful rich life made so by her loving family and friends. She will be missed by many.